open daily 10:00am to 3:00pm. The park is located in Jamestown, 3-miles south of Sonora, at Sierra Av & 9th St. Located in Jamestown, in the heart of California’s Gold Country about 100 miles southeast of Sacramento, Railtown 1897 State Historic Park is home to the Historic Jamestown Shops and Roundhouse—an intact and still-functioning steam locomotive repair and maintenance facility, portions of which date back to 1897. 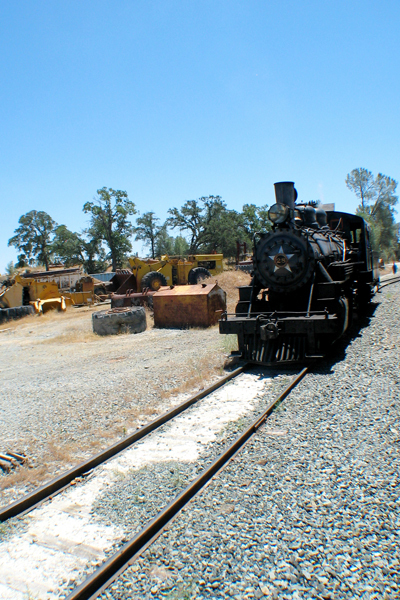 This one-of-a-kind attraction combines industrial heritage and railroad history with the lore of Hollywood’s film industry. The Railtown 1897 Interpretive Center, the authentic roundhouse and shops, and the Depot Store (a railroad specialty gift shop) are among the Park’s unique year-round offerings. Railtown 1897 State Historic Park is open daily (April-October, from 9:30 to 4:30 p.m.; November-March, from 10 a.m. to 3 p.m.), except Thanksgiving, Christmas, and New Year’s Day. 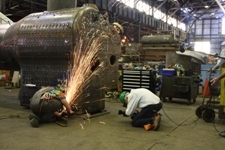 Visit www.Railtown1897.org for more information and current special events. Enjoy a six-mile, 45-minute roundtrip ride through the scenic Sierra foothills. From April to October, trains operate every Saturday and Sunday, departing from the Railtown Depot at 10:30 a.m., noon, 1:30 p.m. and 3 p.m. Vintage passenger coaches pulled by an authentic steam locomotive run on Saturdays and a vintage diesel locomotive operates on Sundays. Diesel trains rides on Wednesdays operate in July and August only, and depart at 11 a.m. and 1 p.m. Special “themed” excursions operate other times throughout the year. 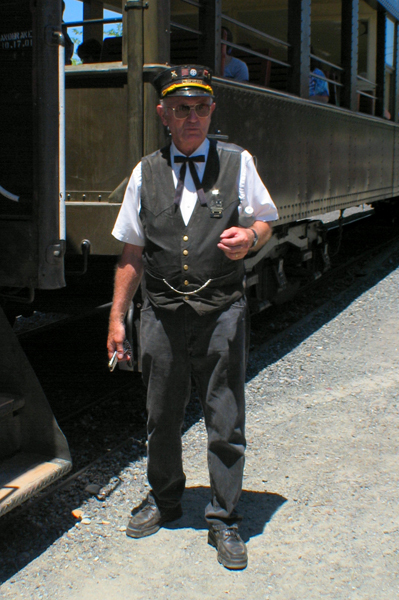 Regular excursion train tickets are $15 adults, $10 youths ages 6-17, ages 5 and under ride free. 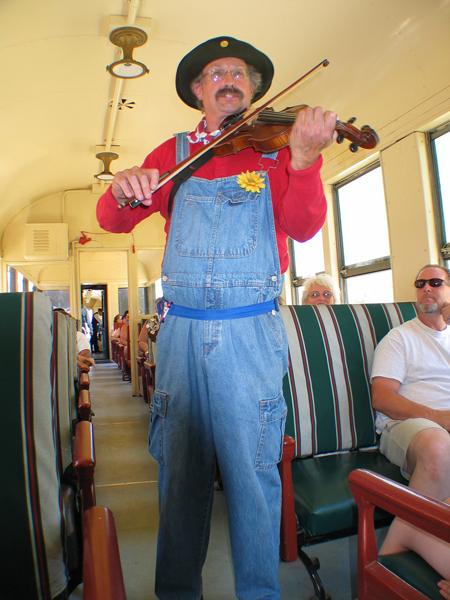 Specially themed excursion train prices vary; please inquire for details. 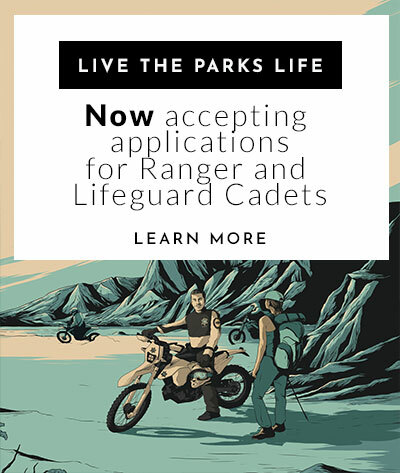 Call the park at (209) 984-3953 or visit www.Railtown1897.org for ticketing or more information. The Railtown 1897 SHP complex includes an authentic railroad roundhouse with operating turntable, functional blacksmithing area, and belt-driven machine shop. Guided Roundhouse Tours are available daily at this unique facility in which locomotives and cars are inspected, repaired, and rebuilt—just as they have been for the past century! The complex includes related historic structures and Hollywood “props,” plus a large picnic area, Depot Store, and Interpretive Center. Known as “The Movie Railroad,” Railtown’s survival has been aided by the film industry. The first known filming was in 1919, for a silent serial called “The Red Glove.” Railtown 1897 and its historic locomotives and railroad cars have appeared in more than 200 films, television productions, and commercials. Still a popular Hollywood location site today, Railtown 1897’s most famous locomotive, “Movie Star” No. 3, has been called “perhaps the most widely seen locomotive in the world.” The Virginian (first sound motion picture filmed outside a sound studio), the western classic High Noon, and Clint Eastwood’s Unforgiven were all filmed here. 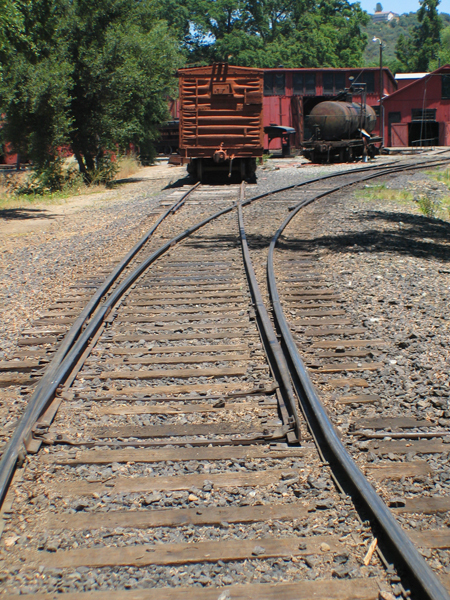 Movie crews also produced the railroad sequences in Back to the Future Part III at Railtown. TV credits include “Death Valley Days” (with Ronald Reagan) and “Petticoat Junction." The park is located in Jamestown, 3 miles south of Sonora, at 5th Avenue and Reservoir Road. • We welcome photography for personal use. • Commercial photography is allowed on a case by case basis by advance arrangement. Visit www.film.ca.gov for more information. April through October, open Thursday through Monday 9:30am to 4:30pm. November through March open Thursday through Monday 10:00am to 3:00pm.